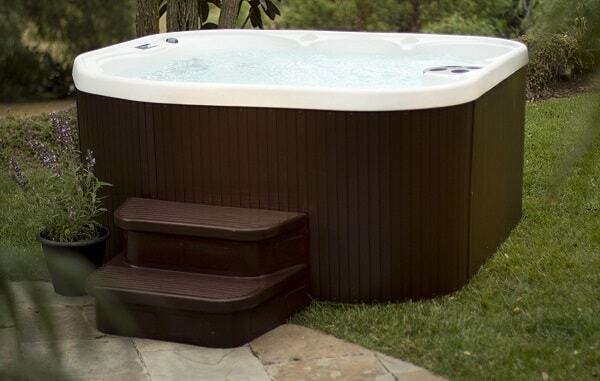 When it comes to having a hot tub, the first thing that you will come to your mind is about the price. 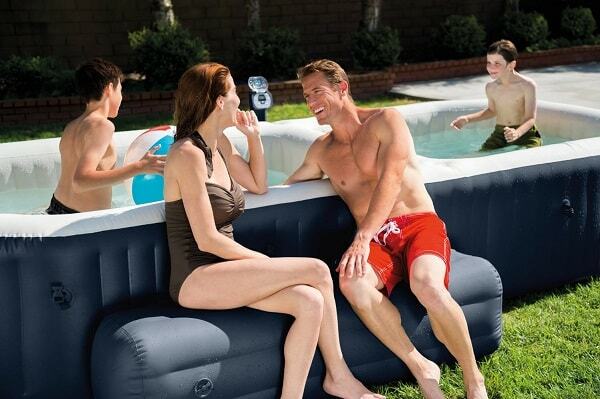 Since the traditional hot tub obviously comes with the high price range, the inflatable model comes as the solution. You can still feel the relaxing sensation of soaking your body in the hot water with this inexpensive portable hot tub choice. 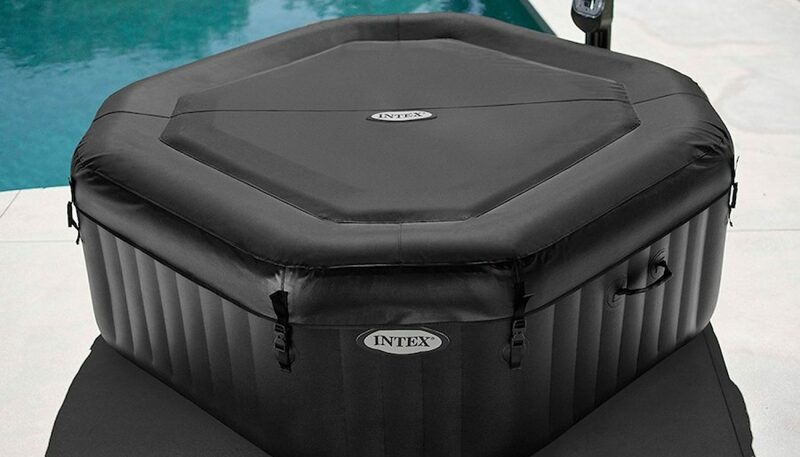 The famous brand that provides you with affordable priced inflatable hot tub with excellent performance is Intex. This company has involved in inflatable tubs and above ground swimming pool for more than 40 years. It truly assures you that buying a product from this brand is quite considerable. 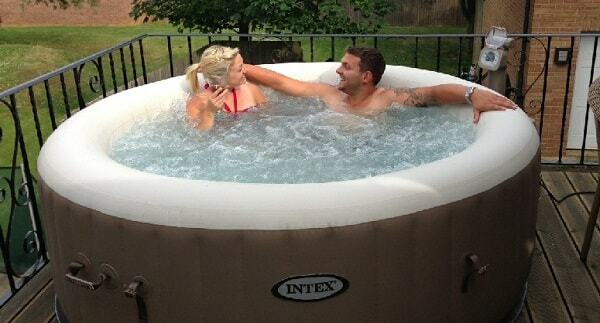 Right now, we are going to review one of Intex’s hot tubs which is the Intex PureSpa Portable Hot Tub. 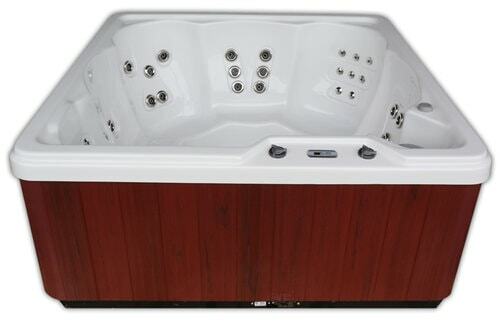 This model is considered as one of the most popular Intex hot tubs which also categorized as the best-selling tub. 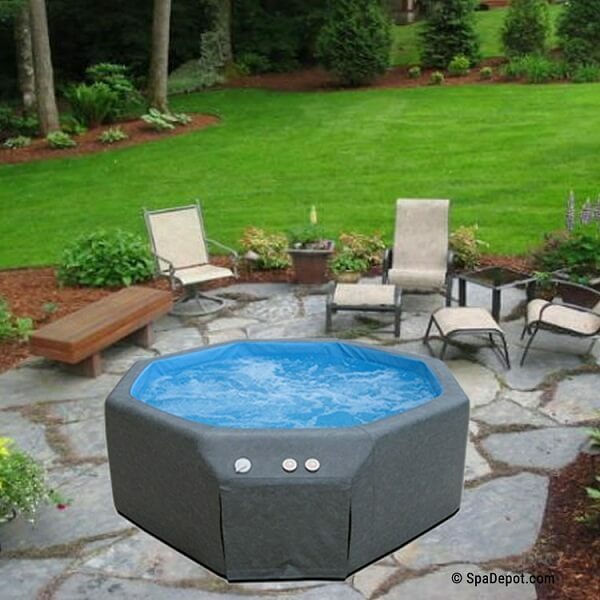 The Intex PureSpa Portable Hot Tub can fit for up to four people inside that can be inflated in a blink of an eye by only connecting the hose to the tub and pushing the button. It can be set up easily, with its “plug and play” market reputation. Don’t worry about the strength, it has very rigid and sturdy frame, so you can sit on tub’s side safely. The surface material of the tub is very soft, both inside and outside. You can feel the best relaxing sensation by sitting on its soft surface while soaking your body in the hot water. The material of this model is manufactured by FiberTech which composed from the heavy-duty 3-ply laminate element. The FiberTech Construction makes it so durable and strong. ontrol the work of the Intex PureSpa Portable Hot Tub from the compact control panels. You can control the spa mode and temperature by pushing the buttons which is covered by the transparent plastic cover to secure the panel. The cover keeps the control panel safe from water steam or any harmful elements. Feel the heat inside this jacuzzi for up to 104 degrees F that will make your muscle pain and heavy head relieved. To reach its maximum temperature, it is better if you place the tub in 50 degrees F ambient temperature. It takes about 24 hours for the tub to reach the maximum heat since the temperature can rise around 2 degree F per hour. The 120 high-powered jet gives you a pleasant spa experience. This is not a strong pumping jet, but it’s quite convenient to relax your body. The tub has 1300 wattage power which works with standard 110 volts home electrical outlet. 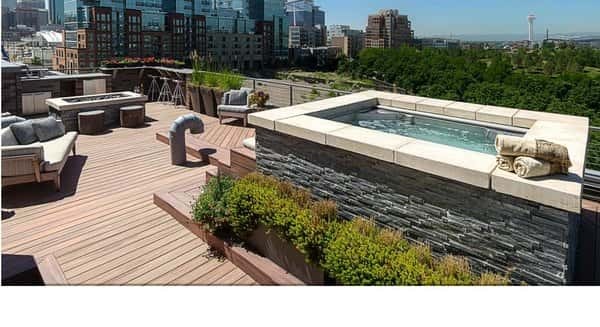 The cost actually depends on how often you use the hot tub and the temperature you mostly set up. Perhaps it will cost you for about $15 to $50 for electricity usage. This model has a built-in water treatment that can soften the hard water for your better spa experience. Though you need at least one day to heat the tub to the maximum temperature, but thermal floor mat and the insulated top cover will keep the heat of the water longer. The replaceable filter and floating pool chlorine dispenser are included in the package, so it is so easy to maintain during the usage. How much does it cost? 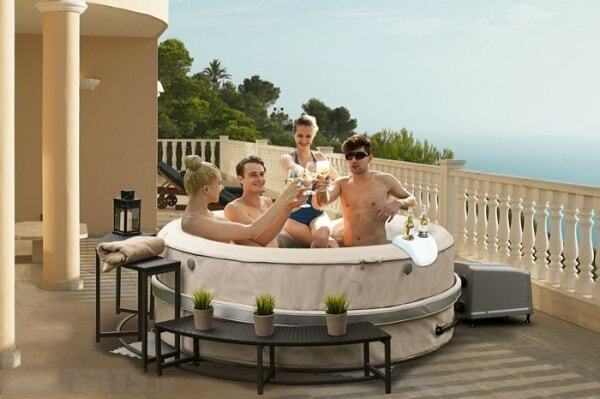 You can get this Intex PureSpa Portable Hot Tub by spending money from about $390 to $590. Intex PureSpa Portable Hot Tub is very considerable if you want to own a hot tub without spending a lot of money. The durability of this product is great, and the spa features are quite satisfying for its valuable price. 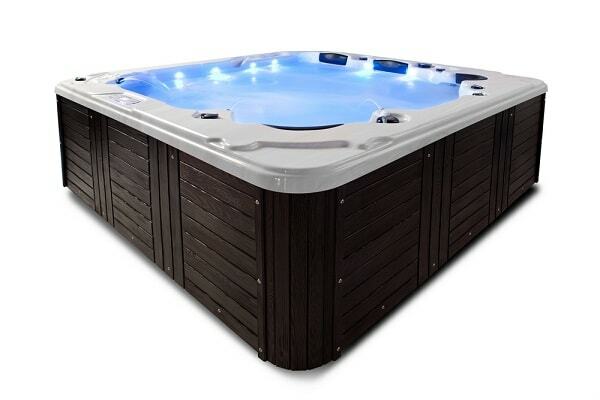 Some cons that from those who own this product say are there’s no any cushions on the spa floor which mean that you have to buy it separately, and the long heating time can cost more energy, especially when the temperature around is very low.